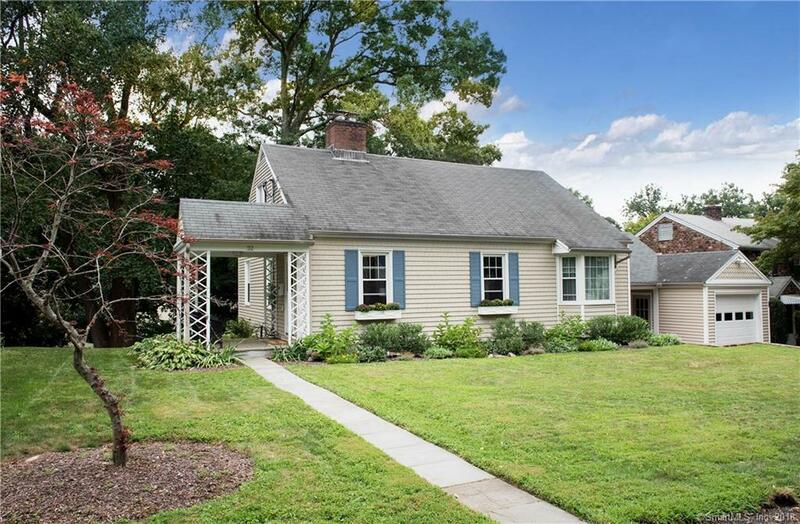 Turn Key Home in Brookside section of Norwalk. Welcome home to this sun-drenched move in ready 3 Bedroom, 2 Bath Cape with open floor plan & Hardwood flooring throughout. Brand New Kitchen with all new stainless steel appliances. Large living room with fireplace & built-ins, formal dining room right off of the kitchen & spacious family room with beautiful built-ins all provide great living space. 1st floor bedroom w/new bathroom complete the main floor. On the second floor, there is new wood flooring, with in floor radiant heat and 2 oversized bedrooms & New Bathroom. Master Bedroom with large walk in closet & built-ins & 2nd bedroom also with good closet space. Both full bathrooms have built-in blue tooth audio systems. Additional Features: New Boiler, new hot water heater, New foam insulation in roof area, upgraded 200 Amp Electrical Service, partially finished walk-out lower level & 1 Car Attached Garage.